It is estimated that 3.5 million people in Britain have been diagnosed with Diabetes, with 10% of adults being Type 1. Of the 31,500 children that have been diagnosed, 95.1% of them are also Type 1. When the body is no longer able to produce insulin because the insulin producing cells in the body have been destroyed. This occurs when the insulin that’s produced in the body doesn’t work correctly, or when insulin producing cells are unable to create enough insulin. As we know, when it comes to hand luggage, security in UK Airports is pretty strict; no liquids over 100ml, restrictions on the size of your bag and of course, no sharp objects! So what happens when you come to fly but happen to have Diabetes for which you may need a high glucose drink or an injection of insulin? Are airports willing to let you take your 150ml can of Coke and your glucose monitor through security without question? With the help from organisations such as Laborom, Families with Diabetes, DASH and The Leeds Teaching Hospitals NHS Trust we surveyed more than 75 individuals to ask them about their experiences, either personally or those of their children. Whilst some of the answers were astonishing and sometimes rather upsetting, we found a lot of useful information on what Airports do well and how they can further help make the airport experience an all round better one. What are Airports and Airlines doing already? The Civil Aviation Authority (CAA) have set out a number of guidelines for both passengers and Airports / Airlines to follow, including contacting your airline before departure to advise them of the equipment and medication that are needed. In some instances, you may be required to fill out additional paperwork before you fly and they highly recommend you bring a letter from your doctor or healthcare professional to authenticate the need for any equipment and insulin. However, as our survey showed, this doesn’t always work…! On board a flight, most airlines will provide a Diabetic meal – although, this has also received a lot of negative feedback in our survey too! We found that 55% of the respondents have experienced some form of questioning, “hassle”, confiscation and “rudeness” from Airport security staff, citing that airports in the UK are the biggest culprits. Quite a common response focussed around the lack of understanding of Diabetes and what is needed to treat symptoms and prevent hypos. A typical hand luggage bag may contain syringes and of course insulin vials stored in Frio bags as it cannot go in the hold, but what about the bottle of Lucozade and cans of Coke that can also be used as treatment? Over a third of our respondents discussed having their bottles confiscated and were told to simply buy replacements in duty free. This may sound reasonable, but for some, the actual size of the can or bottle will have the exact amount of glucose needed to treat a hypo. For instance, a 150 ml can of coke may be needed, but not necessarily available to purchase in an airport! One mother told us she and her young daughter had even been marched to a shop to purchase more Lucozade after they had their four 380ml bottles confiscated. When the staff member was happy they couldn’t purchase these in the airport, the confiscated bottles were eventually returned. Most airlines state when you book that if you expect to be carrying medical equipment, this can be taken free of charge as additional hand luggage – including food, drink and hypodermic needles and syringes. Airlines such as easyJet state that any liquid transported should be under 100 ml BUT if you need to carry in larger quantities, a Doctor’s note stating the medicine and quantity should be adequate. So surely this should be the same if a drink is considered “vital” to hypo recovery for some?! There also seems to be a lot of confusion over the use and transportation of Continuous Glucose Monitors (CGMs) and whether they can be scanned at security and used on aircrafts. In short, a CGM is a small device that uses an electrode placed under the skin to monitor your glucose levels throughout the day, in a bid to prevent a hypo occurring. Most devices are not able to be scanned and a lack of understanding of this on the security staff’s part can lead to frustration, embarrassment and in some cases, crying children. It was unsurprising then to hear that a staggering 71% said they would not feel confident flying alone and potentially relying on staff assistance should they need it. Although a few of our respondents said that they regularly fly solo and hadn’t encountered any issues thus far, most of those with children said that they would not allow their youngsters to fly unaccompanied at all. We asked if they felt they were treated differently in airports away from home and whether the experience is better or worse abroad. Unfortunately, the UK came up trumps in terms of bad reviews; Gatwick was described as “difficult” and “always an issue”, Birmingham are “not helpful”, and one respondent had heard such poor reviews of Manchester that they “actively avoid flying” from the airport. Oh dear! This is in stark contrast to Dublin and Portugal who are “Very good” and “Far more knowledgeable about Type 1”, Turkey who are “amazingly helpful” and The USA where it is “easier to fly from than Gatwick”. This isn’t all one sided however; Heathrow, Bournemouth and Southampton were all described as helpful and the respondents who mentioned these airports say they have never had any issues flying from them. In Italy however, the security team noticed that there were less needles in one passenger’s hand luggage than when they entered Italy a week ago. After trying to explain that they had been used, the passenger was questioned and accused of hiding them! What should Airports and Airlines really be doing? We put the above question to our respondents and there was seemed to be a recurring theme surrounding food, awareness and consistency across the board. “Change Diabetic Meals” – these are on offer on many in-flight menus, but in reality, they are low fat and high in carbs; quite the opposite of what is needed to stabilise blood sugars for some people! They always taste bad too, apparently, usually devoid of sauces and generally bland. There’s a recent trend for ‘create your own’ meals on some US airlines to specifically cater for those with a diet controlled condition, and it was suggested many times that this would be appreciated. Many said that they now opt for a regular meal and just eat the parts they are able to! “Train the Staff!” – Most of the responses mentioned that the lack of training, understanding and knowledge of diabetes by airport staff led to frustration and embarrassment for the passengers. Too many times are people questioned about their CGM’s, and “not believed” when they say their fizzy drinks are for hypos. More so, subjecting children to pat down searches can leave them anxious and confused, sometimes resulting in an eventual hypo brought on by the stress caused by the experience. Even a basic understanding of the difference between Type 1, 2, gestational and Cystic Fibrosis related Diabetes would be appreciated, as well as knowing what the CGMs look like and accepting that if a Doctor’s note says a sugary drink is used for hypos treatment, they mean it! Going back to the scanner point from the CAA, there should be an understanding across the board that they shouldn’t be scanned to save confusion. “Dedicated Lanes” Although some airline already do this, it was felt that a dedicated “Medical Assistance” lane at airport security would be beneficial, and not just for those with Diabetes. Some of our respondents felt that when they are being scanned for a second time, being made to empty the contents of their bags to match the medical equipment to Doctor’s letters and being swabbed, they are holding up other passengers. Most felt this was unfair (to the other passengers) and so a dedicated lane (or two) would be ideal. This could also help with the staff training issues mentioned above – the need for trained staff would be just for those working on these lanes. “Make the rules clear” As we stated earlier, necessary medical equipment can be carried as an extra piece of hand luggage with no extra charge with most airlines, but this isn’t always clear. Our biggest piece of advice would be to call your airport and airline prior to travelling to clarify these details if it isn’t clear on their website or at the time of booking. We would like to thank all of the organisations we contacted and helped us obtain the valuable feedback, just as much as we’d like to thank everyone that took the time to respond! We really appreciate the time and effort spent on the responses which have helped us write a piece that can hopefully resonate with UK Airports. Who knows, we may see changes yet – watch this space! This is absolutely fantastic. What a great piece of writing and information. It all resonates with me as my daughter who is Type 1. Thank you for your lovely comment, I’m glad that you found it informative and wish you and your daughter many hassle free journeys ahead! Dedicated lanes is a great idea! Such a no-brainer, why hasn’t it been done already???? It’s a great point, isn’t it? Some airports do have dedicated Special Assistance lanes, but not necessarily for medical purposes – it’s certainly something we feel all airports should adopt! Note a mistake in one of your paragraphs. “Or an insulin shot in case of a hypo” should be “in case of a hyper” you don’t give insulin for hypos. Thank you for pointing this out, we have corrected this mistake. We flew from Heathrow 3 years ago with 2 T1 daughters (who were 17 and 9 at the time), and 1 non diabetic daughter. Our eldest was very thoroughly searched and questioned about absolutely everything she had with her to do with her diabetes and was utterly distraught by the experience. She was questioned by a member of staff whose first language was not English, and was harassed by this member of staff. We were utterly appalled by this behaviour. Our youngest T1 happened to go through a different line, and was fine. The USA is absolutely brilliant! We’re flying from Gatwick this year, let’s hope it’s a better experience! Dedicated lines would be a fab idea! We had a terrible experience in Manchester airport last year when going on holiday to Dubai (8 hour flight) we was told to go in a que to declare my 11 yo sons meds, sharps ect to be spoken to like dirt and treated like drug smugglers by the supervisor who told us we couldn’t take lucozade through as its not his medication because it’s not prescribed he doesn’t need it!! She took 4 unopened bottles off us And told us to go and buy it from boots! After nearly missing our flight! Making my son feeling like he had done something wrong as everyone was looking at us And the police getting involved and agreeing with us that she was out of order we went into boots where there was no lucozade left!! We where left to hope and prey the he didn’t have repeated hypos during this time! Yet on our way home we had no problems at all with lucozade in ours bags! Something needs to change! No difficulties flying with an insulin pump. I do not drink coke. I am treated as any normal passanger. Great to hear you had no issues, Troy! 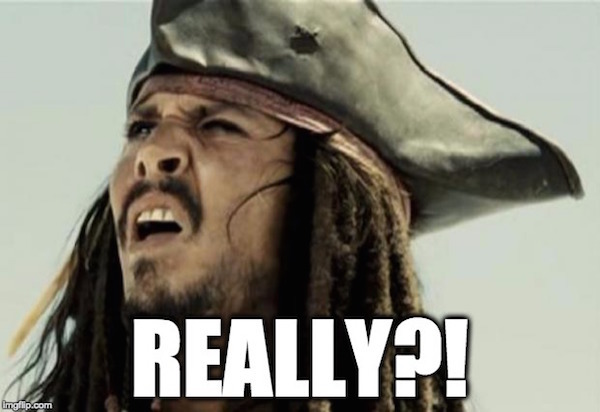 We had an argument with a steward on American or US airlines on an 8 hour transatlantic flight to the States – despite ordering a childs meal for my 8 year old dd, the message hadnt got through and she was offered the choice of adult meals, neither of which was suitable for a childs meal. I asked for anything plain – perhaps s0mething from business or the meals for the pilots – even a bread roll, and was told that everything was pre-ordered so there was nothing available, and if this was a problem I should bring my own food for her for an 8 hour flight. Really rude, stressful, and totally lacking in empathy – and embarassing my daughter. We travel extensively, and airport security are really inconsistent in dealing with her pump and equipment. A fewi years ago I had my insulin pen confiscated by a power tripping Easyjet hostess and put in a high locker out of my reach until mealtime. I have to say that now I have little trouble as I don’t declare my insulin pens and cartridges. The people working the x-ray machines usually don’t remark on them or simply ask if they are insulin pens. I carry a doctors letter at all times with all my meds listed but rarely have to produce it. I usually carry glucogel (available on prescription) on flights and it’s less bulky, when I get to another country I can always find coke or juice or other sweet fizzy drink almost as good as Lucozade. I have been insulin dependant for 33 years and travel frequently. Travelling by Ryanair- despite their name of very abrupt- has never been my situation. When it was an only one hand luggage I got an exemption letter for my diabetic bag. Even now as they allow all passengers 2 item hand luggage, they email to ask if I need exemption letter for diabetic bag and seem to have me listed on their site. The Help Desk person is always friendly. I find Dublin a good experience but I find Luton a nightmare. Many years ago I had a tiny amount in a lucosade bottle as I approached security and had a ‘power freak’ telling me to drink it all up!!!! I now bring glucose sweets in my pockets. British airports were worst experiences, I travel to Spain often and even with language barriers never have any trouble. 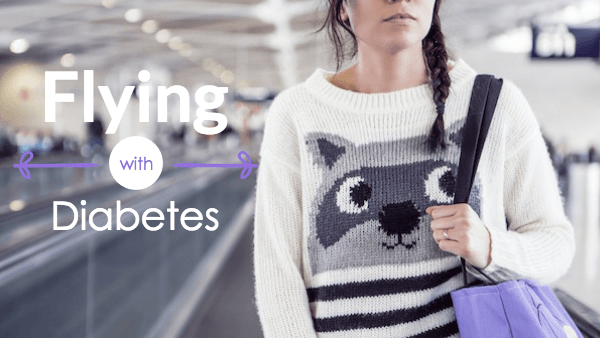 There is no standard policy or procedure for insulin pumps at airport security and this not only causes stress for the person with diabetes but can also quickly become a life-threatening emergency. 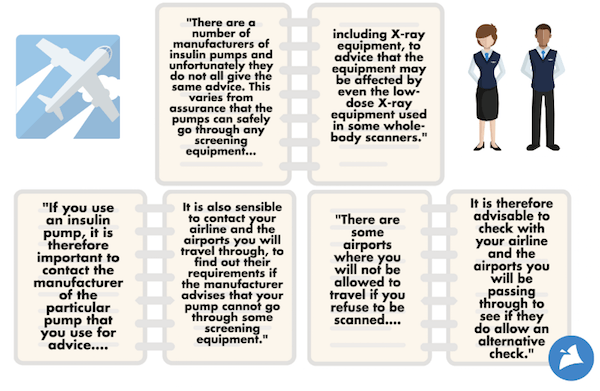 I want all airport authorities to recognise the risks of insulin pumps and x-rays and to train their staff accordingly. We have the support of JDRF and many other high profile organisations: https://jdrf.org.uk/news/family-held-security-dubai-airport-two-hours-insulin-pump. I hope you can sign and share the petition to help spread awareness. Thanks for sharing your story – I’m so sorry to hear of the way you were treated! We will of course share the petition, I hope it helps airports implement the right policy and training. Good luck with your first trip! If you take a read through the blog above, it does cover what you can take through security. If you want to take liquids over 100ml, you’ll need a medical certificate. If you’ve got any other questions, just shout! Even Starbucks black coffee served by one airline contained sugar, it blew my Wife’s levels. I’m off to San Sebastian from Heathrow & I’m the king of hypos & Lucozade is my saviour! Hoping to purchase a few bottles once through security? I am T1 and I use CGM, and I found out that the fastest treatment for Hypo is using grapes (black grapes). It works faster than Coke or anything else I have tried. So that helps to have grapes with me while travelling which does not cause any issue. Note: that is not a medical advice, but that is my own experience. My 5 year old has T1 and uses a CGM and pump. My wife and 2 young daughters travelled though T5. Knowing that security can be a problem I contacted BA to arrange special assistance through security. Traveling with small children alone is tricky – add T1, insulin, needles, pumps etc and it is stressful! After being bounced between BA departments I was told this was not a BA problem and I needed to go through a third party (email only) – no response. On arrival I approached the special assistance desk. Ultimately no willingness to help (not disabled enough?). At some point in all this I was told, if you want help, ask for a wheelchair. So – plan ahead and for no assistance – no matter what the Heathrow or BA websites say. Oh Carl, that’s so disappointing to hear! Did you bring this up with either party afterwards?